Step by step instructions on how to process final wages in PPS. An employee's final paycheck (including earnings to date, overtime, compensatory time, and vacation hours) should be paid at the employee's site of employment on the day of separation if the employee has been discharged. 2. Coordinate preparation of the final check with the appropriate sub desk. 3. Update the Payroll/ Personnel System (PPS) using the Separation Bundle (SEPR). In addition to the usual information that you currently enter, you will need to update additional fields indicated below. In the Screen "ESEP," enter code "3" in the [Dispo] field. (If the value is already a "3," then you do not need to update this field). This will suspend any Surepay deposits. 4. Continue the PPS process. 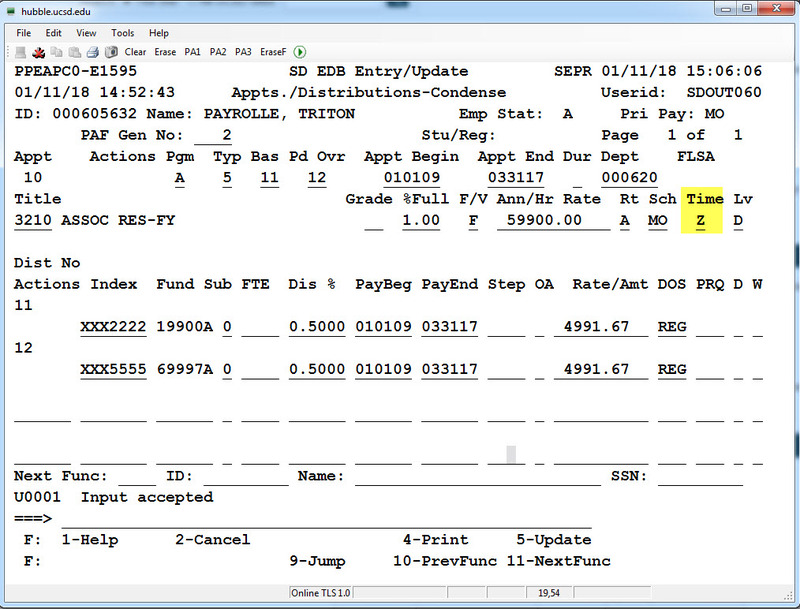 In Screen "EAPC," enter the code "Z" in the [Time] field on the appointment level. This will prevent duplicate payment to your employees. 6. Include in the "comments" section any specific instructions regarding the separation and payoff hours. For Sub 2 employees, include the final hours and appropriate end date. PPS prepaper name and contact number . Indicate the Mail Code and Recipient to which the check should be mailed. The Payroll division will prepare the check for mailing to the Mail Code indicated in the comments section. If there is no Mail Code indicated in the comments section, then the check will be held in Payroll for departmental pickup. 8. Arrange for check pickup. For the employee who quits with notice, departments must arrange to present the final check to the employee at the time of his or her separation or retirement date. For the employee who quits without notice, the department must prepare the check for mailing to the employee's last known address.